The Phillies won their first series of the season by beating the Mets on Wednesday night by a 7-3 score. It was certainly hitting weather; all 10 runs scored in the game came from home runs. The real difference in the game was that the Phillies hit with men on base and the Mets did not. The other big bangs of the night came from the thunder and lightning in the sky, which delayed the game for just under half an hour. 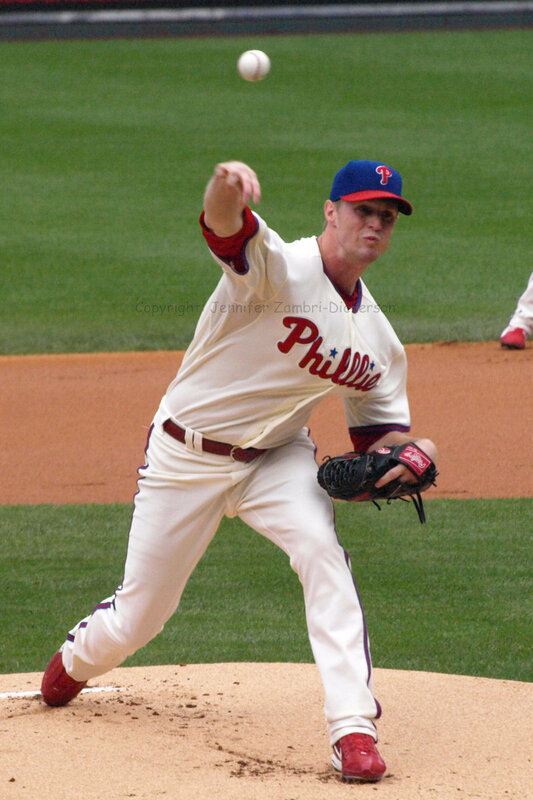 But pitcher Kyle Kendrick weathered the storm and rebounded from a bad first start of the season at the Home Opener. He struggled at times, but worked out of the jams with determination. This was a very big win for the Phils who were off to a very scary start in the first 9 games of the year, of which they have now won 4. Not great, but things are looking up. On the other hand, attendance is trending downward. There were an awful lot of empty seats at Citizens Bank Park this home stand, with attendance dipping as low as 35,393 on Monday night. I suppose fewer and fewer folks are feeling optimistic about the team these days. But don’t feel bad; the Phillies are not alone. The Red Sox record-breaking streak of 820 games (794 in the regular season) finally ended last night. Ah yes, the fans of Boston are but mere mortals once again. 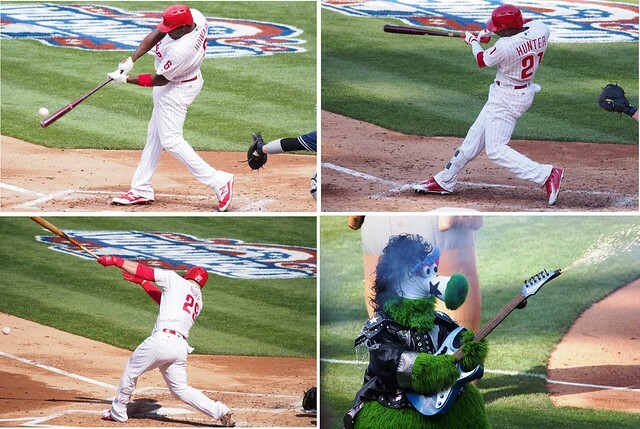 The start of the 2012 season has not gone well for the Phillies. And that is putting it nicely. Losing 3 out of the first 4 games with the ugliest one coming Monday afternoon at the Home Opener has many people worried about this team. 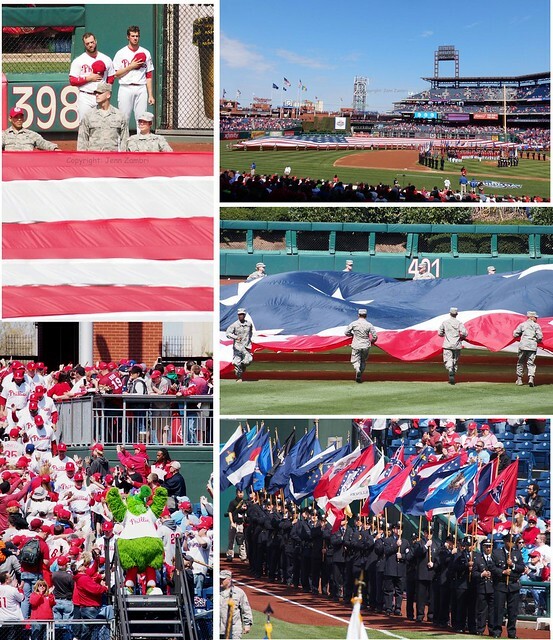 It could just be a slow start…or it may be a glimpse of the future Phillies. Let us all hope it is just a slow start. The Phillies offense wasted good pitching performances from Cliff Lee and Vance Worley in back-to-back games against the Pirates. Then yesterday against the Marlins, Cole Hamels was not sharp and basically, the entire team sucked. Home team fans looking for some home run excitement got it…only from the wrong team. The Marlins took Hamels, Joe Savery and even closer Jonathan Papelbon deep. As for scoring, most of that came from the Marlins as well. The worst thing I can say about the new Miami Marlins after that performance is that their uniforms are hideous. Take that, you dreaded fish! 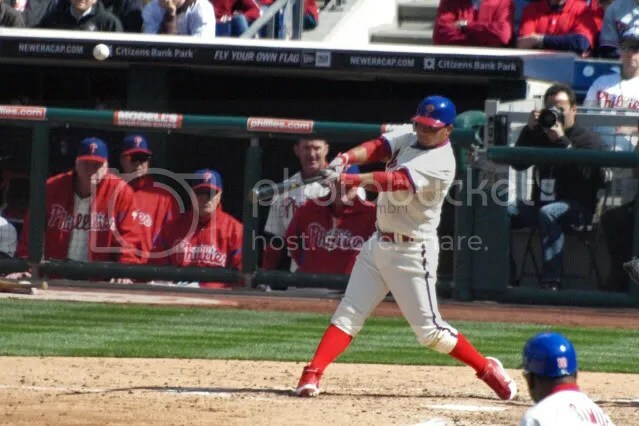 The only bright spot in the game was seeing rookie Freddy Galvis finally get a hit. His first major league hit was an RBI-double that knocked in both Shane Victorino and John Mayberry Jr. But that was literally the only offense in the game from the Phillies. 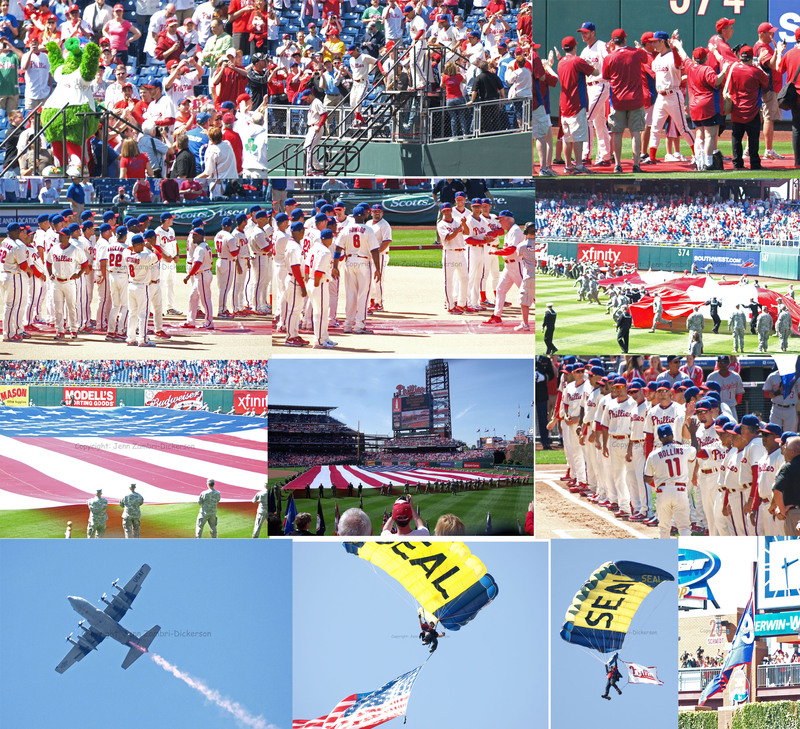 Here are ALL my photos from the Home Opener! There are a lot..enjoy! 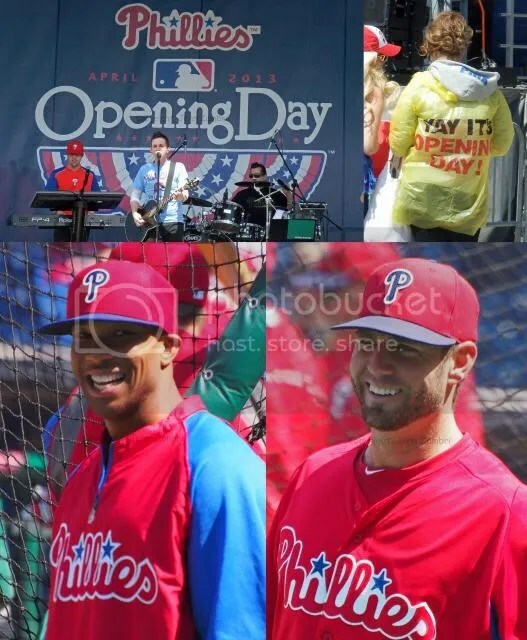 The day began with promise as the Phillies players warmed up and took batting practice on a mild, sunny day. 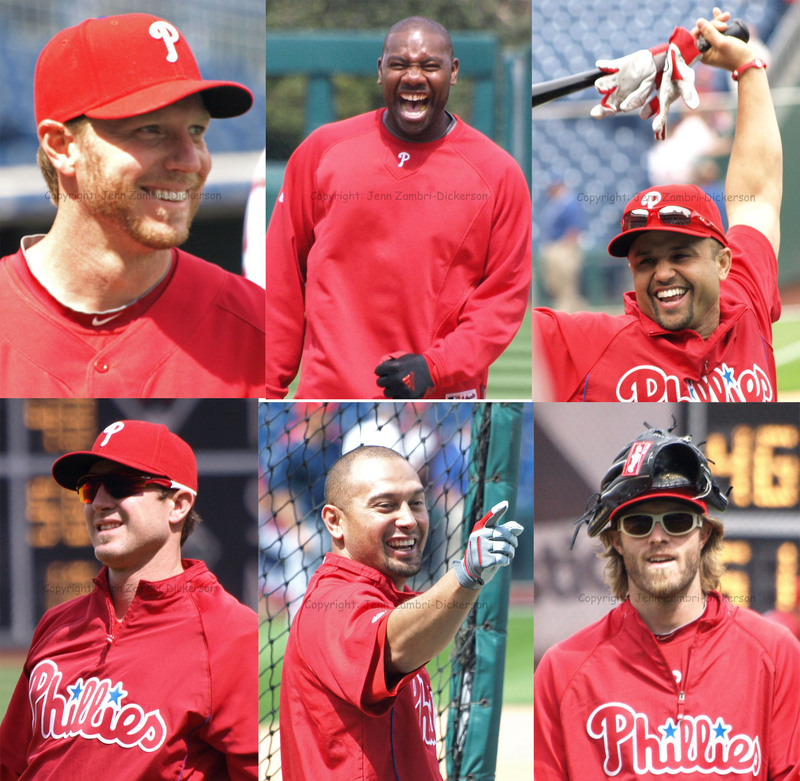 There were smiles all around; fans and players were happy to be back in Philly for a new season. Roy Halladay had extra reason to smile today; he was named the NL Player of the Week for his 2 wins and sparkly clean 0.56 ERA. And then, the drama began. 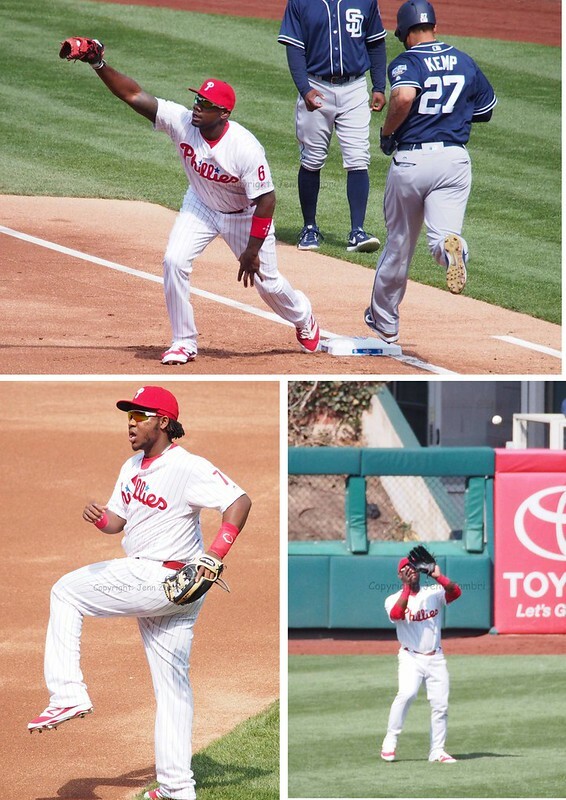 The Phillies took the field, but for some reason, Jimmy Rollins looked a bit like Juan Castro at short stop. Oh wait, it is Juan Castro…what?? Like the game, “Where’s Waldo?”, fans everywhere chatted about “Where’s J-Roll?” He was announced as a starter; what is going on here? Turns out, Jimmy strained his calf muscle during the pre-game warm-ups, right after the Opening Ceremonies. Rollins will have an MRI tomorrow and his Red Bull / Guinness World Record for the longest batted ball event has been postponed. Jayson Werth was also injured today, although his issue appears to be less serious. 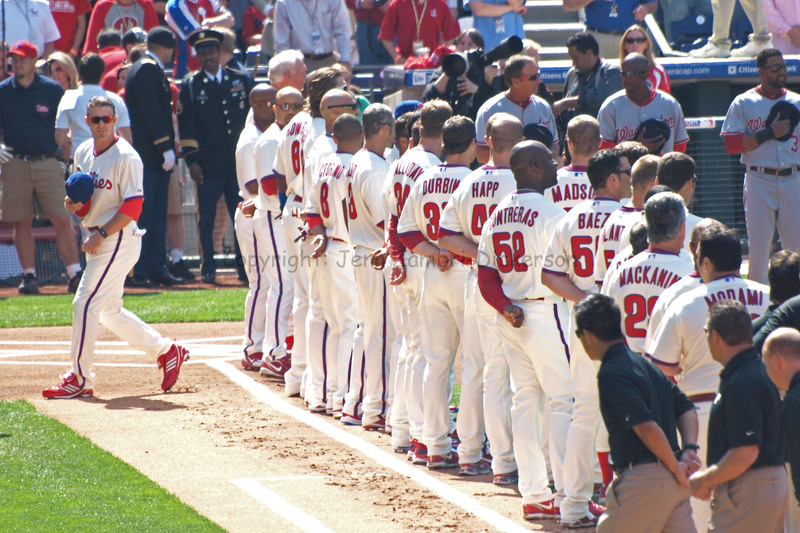 He left before the 6th inning with soreness in his left hip…no MRI is schedule for Werth. 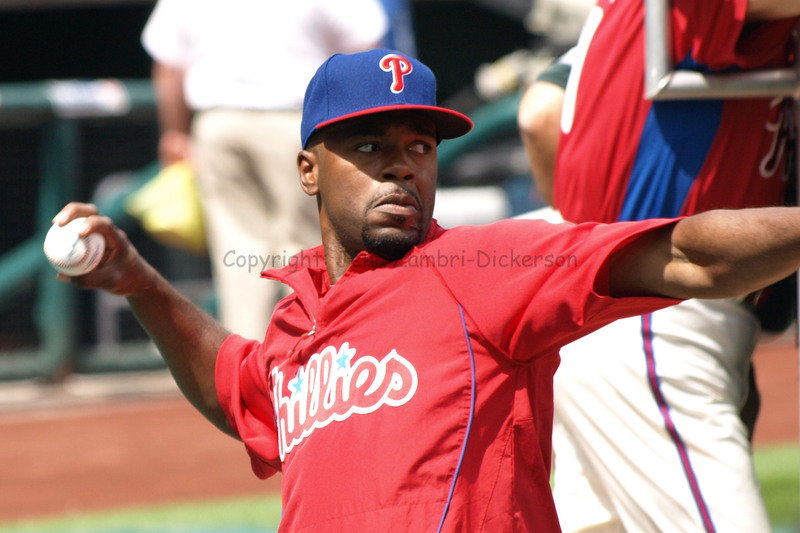 As for the game, things looked a bit dicey as Cole Hamels allowed 4 runs in the first four innings. He settled in and would have gotten through 6 total if not for an error by Castro to extend the 6th inning. But Castro did pull through at the plate with a double in the 5th that led to a huge 5 run inning, so we forgive him. The bullpen did a great job as well; 4 pitchers combined for 3 1/3 scoreless innings. Danys Baez looked shaky at first, throwing 7 straight balls before he got an out. But he got out of the jam and then Ryan Madson closed the game, looking very sharp. 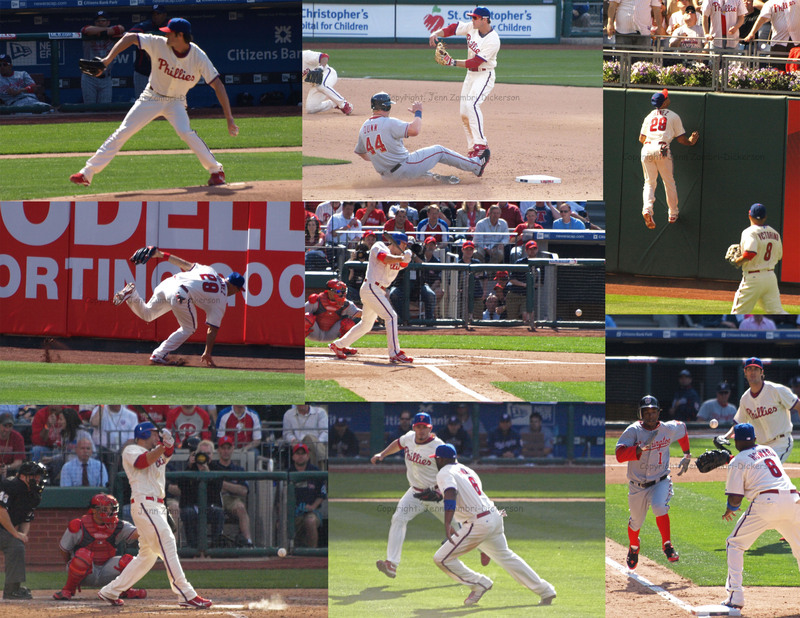 And it is a good thing too as Brad Lidge’s recovery is not looking promising right now. 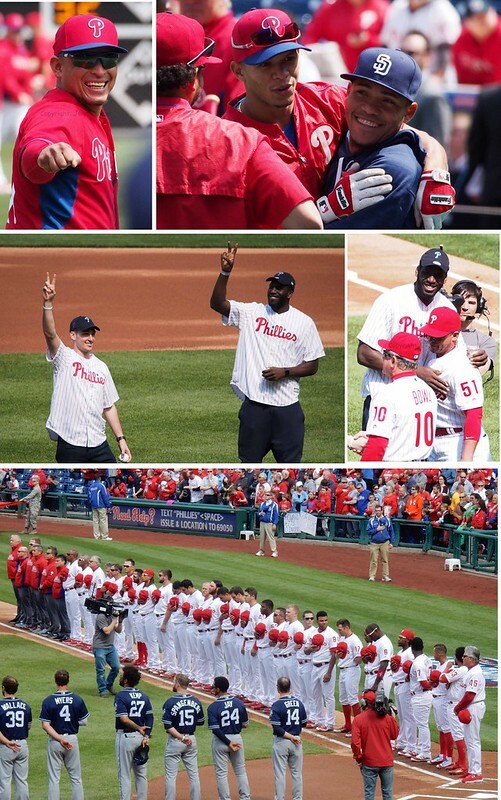 Roy Halladay got his second win as a Phillie today and his first complete game. Even after going over 100 pitches by the 8th inning, this Iron Man had no intentions of stopping there. Halladay finished the game with only 1 run allowed on 7 hits and did not walk a batter. He even had a hit in the game. 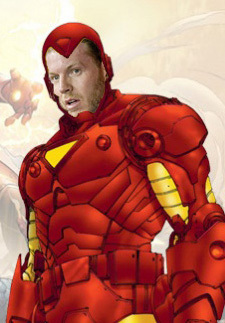 All the man needs now is a super-awesome Titanium Plasma Cannon and he will truly be invincible. The offense was finally slowed down today; for the first time this year, they scored less than 5 runs and only 6 hits in the 2-1 win. Astros pitcher Roy Oswalt had a bit to do with that, although Jimmy Rollins paid him no mind. J-Roll hit the 2nd pitch of the game over the right field wall and had another hit later in the game. 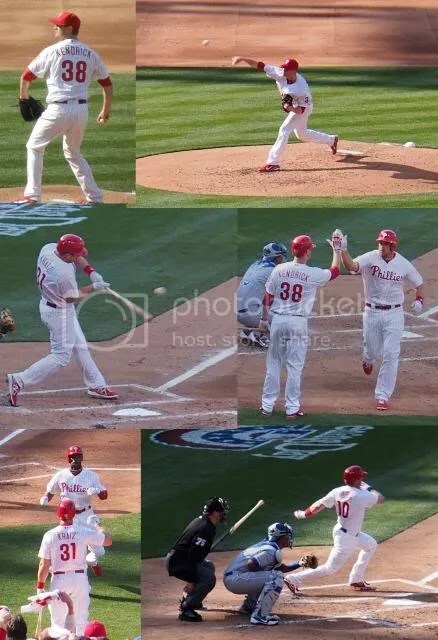 The other 3 hits came from Shane Victorino, Chase Utley and Raul Ibanez. Carlos Ruiz collected the 2nd RBI with a sacrifice. No bullpen to chat about today, thanks to Halladay. But we do have 3 pitchers rehabbing right now; JC Romero is looking good and has pitched twice in rehab assignments without giving up a run. The polar opposite of this is Brad Lidge, who pitched only 2/3 of an inning in a minor league game and allowed 4 runs. 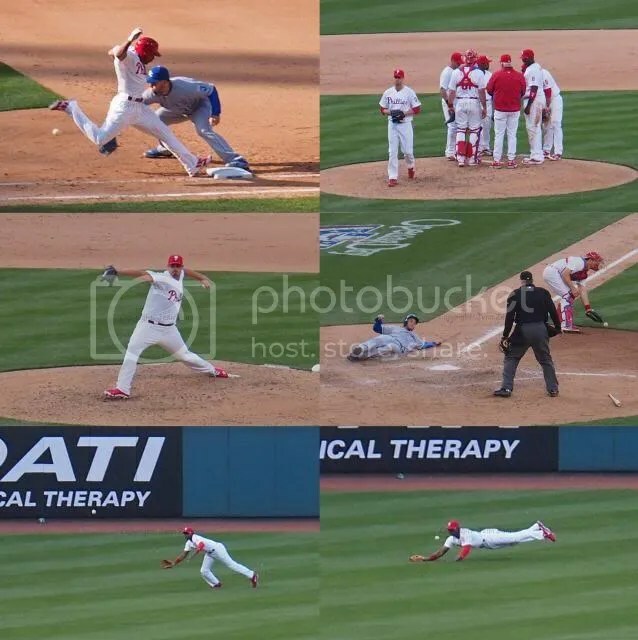 Between the off-season surgeries, recent cortisone injection in his elbow and this lack-luster performace, Lidge may be a big problem this year. He has not looked healthy since the 2008 World Series and shows no signs of improving anytime soon. Joe Blanton is also working back from an oblique strain, the first real injury of his career. So far, that is going well but no time table has been given as to when he might start throwing off a mound. 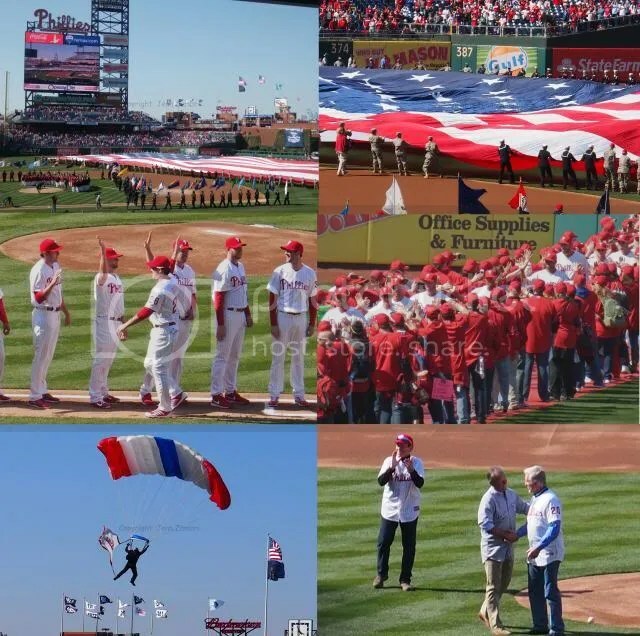 The long-awaited Home Opener will be tomorrow afternoon at 3:05pm with Cole Hamels pitching against the Nationals. Hope to see you there!